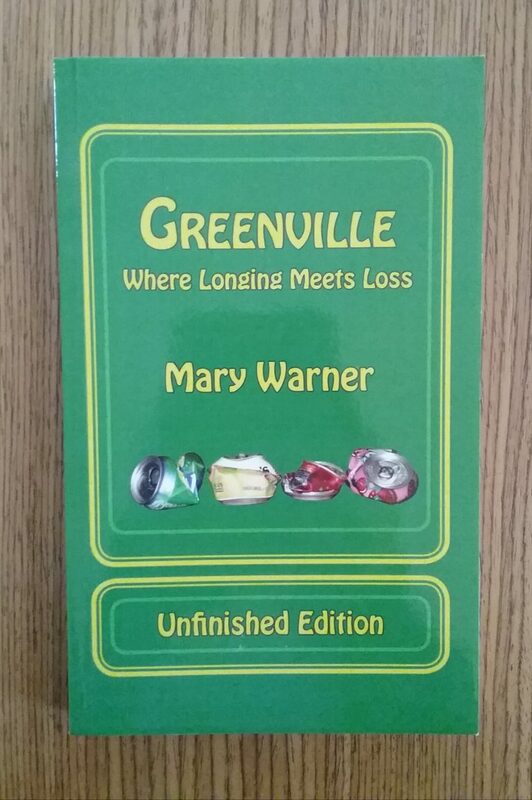 Greenville: Where Longing Meets Loss, Unfinished Edition, by Mary Warner. I was part of a local authors event at our library today. 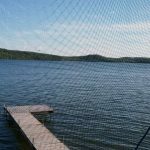 Eleven local authors were featured, which just scratches the surface of writers within our area. Seeing everyone with their books, I was in awe of how prolific and accomplished we were in terms of what we have produced. It’s no easy thing to take a book from writing to editing to publication. I had great fun talking to people who stopped by my table, as well as with the other authors in the room. Unless you’re super-dee-duper famous and can pack a house with fans, author events and book-signings can be lonely endeavors. Planning them as group events gives all the authors a guaranteed audience, even if all you do is share stories about the writing and publishing life with each other. Because I discuss the Nate book in the course of my work with some frequency, it’s pretty easy to talk about it with people. However, it’s weird to talk about Greenville because I published it in 2009 and, being crappy at self-promotion, I didn’t do a lot of it when the book came out. My satisfaction came in writing the book and designing the 3 editions. The author event gave me a chance to relive the publishing process. When I first self-published the book, I went through Cafe Press, a site better known for creating t-shirts. It was a wonky experience and my cost for ordering books was high, so I later republished the editions on CreateSpace, which is part of Amazon. (CreateSpace is currently transitioning to Kindle Direct Publishing, so if you are interested in self-publishing, head to Kindle Direct, rather than CreateSpace.) When I republished via CreateSpace, I changed the covers to the editions so that I could tell them apart. During the local authors event, I explained this to several people. A couple of people were intrigued by the unfinished edition. Greenville is a short story cycle, so it contains 10 linked short stories, each of which can stand on its own. However, when you read the entire book, you’ll find there is a common character that shows up in all the stories. When I created the unfinished edition, I lopped off the final story and added blank pages, inviting the reader to write their own ending. One of the author event visitors was interested in taking that challenge, which is the first time anyone has expressed that interest. How cool is that? In honor of this potential reader, I thought I should write about today’s author event and provide an easy-to-find link to the digital version of Greenville. It’s not the unfinished edition, though, so if anyone is interested in writing their own ending, they should avoid reading the last story until they have written their own version. If you do take the challenge and write your own ending to Greenville, I’d love to read it. Let me know via my Contact page.